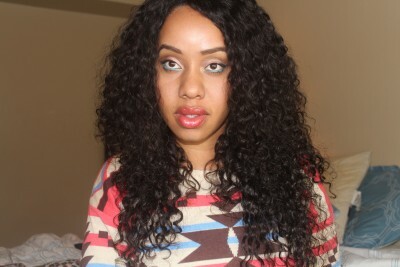 Mercy Extensions Mongolian Curly hair is a full body curl with texture similar to African-American hair when flat-ironed. 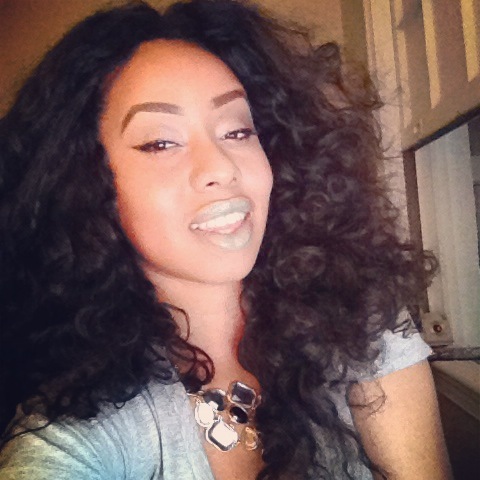 It’s a great option for the perfect curly weave, as it offers a great versatility. It’s full and thick, allowing for great versatility in styling, whether you want to wear it curly or straight or even re-curl the hair for big curls. This hair can do amazing things. I got the hair in 24″ 22″ & 16″ with a 16″ closure. Really if you get the closure, two bundles are more than enough. I thought since I ordered longer hair that I might need a third bundle because extensions are always sold by the ounces, with Mercy selling at 4ozs per bundle. But it’s still a ton of hair even at 24″ and it was nicely spaced out on the weft. Not bulky or thin, but just right to fill out my wig cap and I have a big head. I really only used two bundles + closure, though I tried to squeeze a bit of the third bundle in there. I wanted ridiculously big hair and that’s what I got. The wefts are well constructed with little to know shedding. My only gripe with the hair is that the curls in the closure fall fast, but I also forever have my hands in hair so that’s half the problem. Hair is super soft so you will always have your hands in it. To maintain it I simply co-washed it with a deep conditioner whenever I wanted the curls to pop. Simple to maintain. Minimal shedding and no tangles.